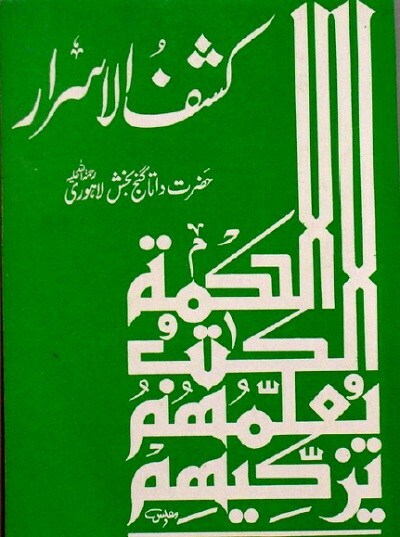 Kashf Ul Asrar Urdu book pdf by Data Ganj Bakhsh is a translated version of Persian book by great Sufi saint Hazrat Syed Ali bin Hajveri whose tomb is in Lahore and millions of people pay their tribute to him daily. Kashf Al Mahjoob is also a great book which if we say the key of Sufism and Taswaf then it won't be wrong, it thoroughly explains the theory and philosophy of world and life. This book also covers the same topic but it has some chapters which give us a detailed study about Islam and the virtues of people's right. freebooksmania provides the Kashf Ul Asrar Urdu book pdf by Data Ganj download link below and I hope that you will like it. It will be nice if you give your Review.